The large arctic hills of Sweden stole my heart already years ago, and we would like to offer you a similar experience. You can also experience hills that can only be dreamt of in Finland. The adventure starts on Sunday 31.03. at 07.00 in Raahe and people participating the joint transportation will be picked up during the route. We will arrive in Abisko STF (Svenska Turistföreningen) in the evening on 31.03.2019. We will head out into the wilderness the next day on 01.04.2019. The route follows the Kungsled to the Abisko and Ales Lake station. On the third day, we will take a trip to the nearby arctic hills from the Alesjaure station. On the fourth and fifth day, we will take a slightly different route skiing back to Abiskojaure and Abisko. The journey back to Finland starts on Saturday 06.04.2019. It is good to note, however, that even though you can take this ski tour as a normally fit person, the weather conditions can change in the mountains very rapidly. Having proper equipment is thus very important. A list of required equipment will be sent when you are booking for the tour. Route: Abisko-Abiskojaure-Alesjaure (2 nights)-Abiskojaure-Abisko. Length: 70-90 km (depends on the day trek length). Group size: 3-8 persons, 4 places still available! 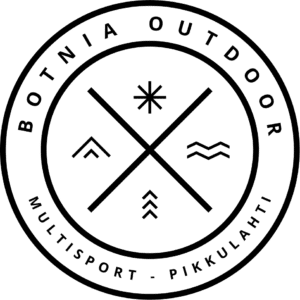 Level of difficulty: Participants should have previous trekking/ski touring experience, equipment and clothing suitable for the weather conditions, a warm sleeping bag and ski equipment. There is a limited availability for renting other equipment. Please contact us for further details! Price: €975/ person with half board. €725/person with your own food. 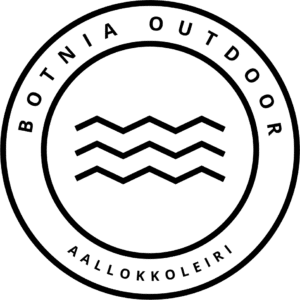 There will 5% discount for the members of Suomen Latu (Outdoor Association of Finland). Included: Guide’s services, transportation: Raahe-Abisko, accommodation in STF cabins, and possible sauna fees. Half board: STF breakfasts in Abisko, dinner in Abisko and breakfasts and dinners during the tour. Not included: Lunches, snacks, tents, sledges, travel cookers, ski equipment, sleeping bags, insurance, trekking/outdoor equipment. Note! Bookings should be done by 15.03.2019. Booking is confirmed by paying an advance fee of €150. An invoice for the advance payment will be sent to people who have made bookings. CANCELLATION POLICY: If the cancellation is done at least 6 weeks before the tour, the advance payment will be returned in full. If the cancellation is done 1-4 weeks before the tour, the organiser will take 50% of the tour fee. If the cancellation is done one week before the tour or closer, the organiser will keep the whole tour fee.